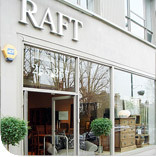 Our showroom in Cricklewood, London has the widest range of natural products and reclaimed hardwood furniture available in the UK. The 500m2 premises has everything under one roof, free parking and refreshments to make for a pleasant environment in which to browse. We have rooftop parking - enter via the alley close to the shop.